Living area There are 593 products. Tropicalia Cocoon is a hanging armchair by Moroso with an exotic look. Patricia Urquiola has made this comfortable and protective seat a design item: it is composed of a lot of coloured threads that envelop the entire shape and are structural and attractive. Many coloured signs that fill up the space with joy. 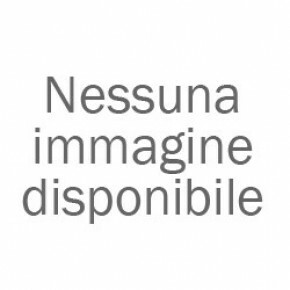 Isabel is a chair by Cattelan Italia with a linear style that, thanks to its high backrest and padded cushions, is suitable for living areas in both domestic and contract solutions. 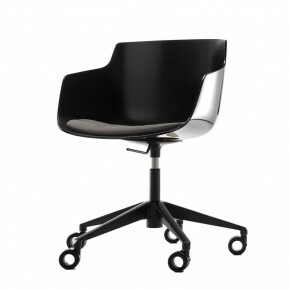 In fact, its peculiarity is the upholstery, which goes beyond the backrest creating a small cushion in the upper part. 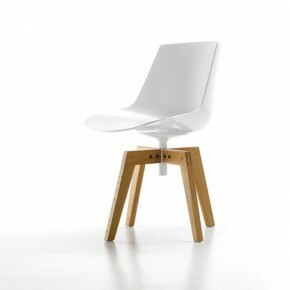 A simple structure chair but with an elegant style. 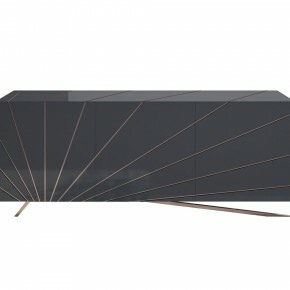 Hilton is a sideboard designed by Andrea Lucatello for Cattelan Italia. 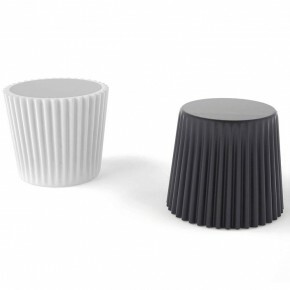 Being very refined, it can decorate both classical and contemporary environments. 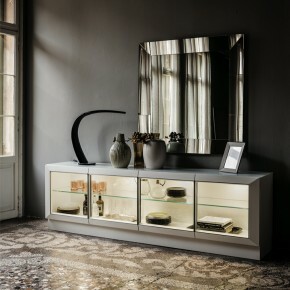 The transparency of the crystal allows the sideboard to be filled with objects, creating a fully personalised element. Let yourself be seduced by the beauty and the simple shape of Bouquet, the small armchair designed by Tokujin Yoshioka in 2008 for Moroso. A bouquet of petals, formed by several fabric squares, blooms from a thin chrome metal stem. The petals envelop the egg-shaped frame like a dress and cover the internal part, giving comfort and smoothness to the seat. With Bohemian, Patricia Urquiola reinterprets the classic “capitonné” in an utterly original way. This armchair is characterized by its almost fluid shape, where the smooth lines of the frame envelop the seat. 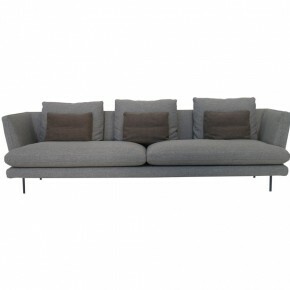 The upholstery, made of fabric or leather, is fixed to the frame through automatic buttons. A geometric interplay characterizes the YY-chair designed by For Use for Moroso: a composition of straight lines, angles and distances that inspires stability and solidity. A versatile and traditional furnishing element with still very modern lines, in which style and functionality coexist harmoniously. 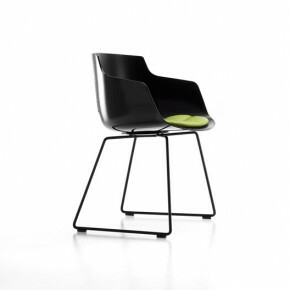 Supernatural chair originates from Ross Lovegrove’s idea in 2005 and is characterized by soft lines and an odd shape. 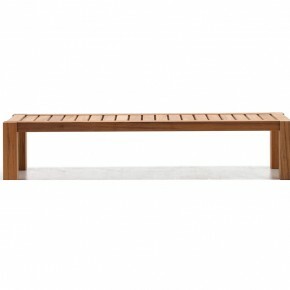 It is a light and versatile seat, yet resistant, practical and dynamic. 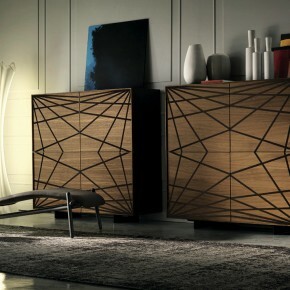 Nebraska is a two-door wooden sideboard designed by Paolo Cattelan. 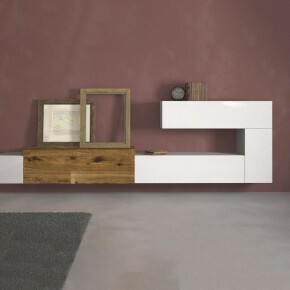 The sideboard is entirely made of wood and has a modern design, yet preserving a strong traditional hint. The sideboard has a clean-cut design and its hinged doors make it practical and functional. Colander is a very versatile chair that comes from Patrick Norguet design for Kristalia. 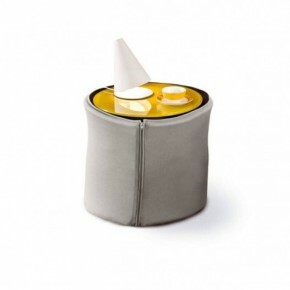 Designed for the home, but also for the world of catering, the chair has a slim and light design. 'Getting the most of the best to the greatest number of people for the least': with these words, Charles and Ray Eames described one of their main goals as furniture designers. 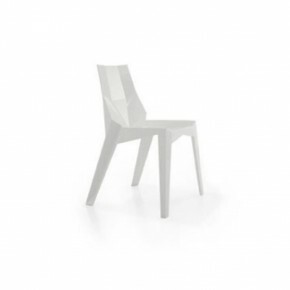 None of their other designs come as close to achieving this ideal as the Plastic Chairs. Like a flower, the Corolle chair has a fine and embracing shape. Mario Ruiz designs the Corolle chair, where the volumes are the essence of the contemporary design. Designer: Roberto Barbieri. Year of production: 2005. Jean-Marie Massaud, 2016. 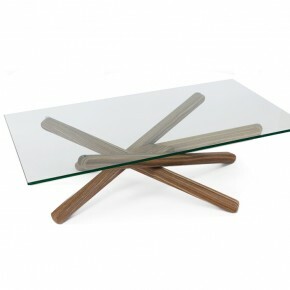 A collection of coffee tables which are light and elegant. Original structuresin aluminium, available in two sizes, making it easy to combine them with more elements. 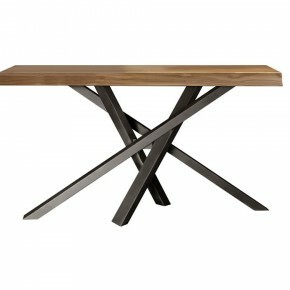 These coffee tables supports thin table tops available in a wide range of embellished surfaces. 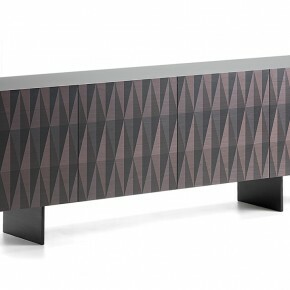 Due to its simple and elegant shape the Essenzia lacquer sideboard feels at home in every room. 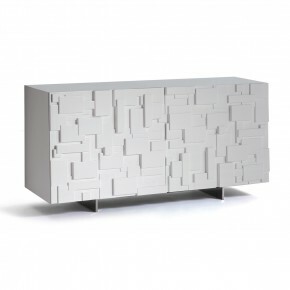 Featuring polished aluminum legs and touch-latch doors, the Essenzia contemporary sideboard comes in a matte or high gloss finish in white and all RAL colors. 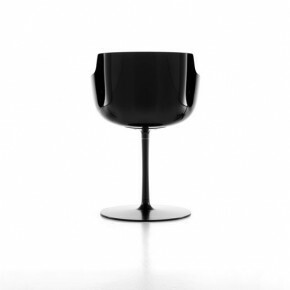 Design Cini BoeriMonolithic chair in 12 mm thick curved glass. Design: 2016 Wooden sideboard. Doors, top and sides with 45 degrees edges. Pushpull opening system. Lounge chair in teak frame. Back cushions: one 40x40 cm, one 60x60 cm. Easy-chair in teak, adjustable back, buttoned cushions, not removable covers. Coffee table in teak, slats top. 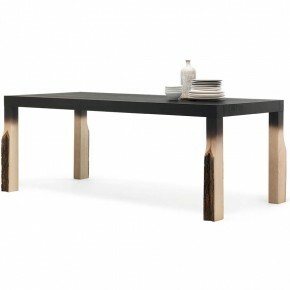 Add a touch of elegance to your living room with this combination of Fard Bonaldo tables (see picture), consisting of:- Fard 5 (150x75x27h cm) with top finished in heat-treated oak;- Fard 3 (80x55x33h cm) with top finished in dark grey biomalta;- Fard 2 (100x50x44h cm) with top finished in light grey biomalta. Voilà is a swivel double-sided mirror with base and structure in satin steel. Swivel double-sided mirror with base and structure in satin steel.